Anonymous, 01 Jan 1970Pleas gt ur facts straight. Im nt regreting any thng. I was given the phone at work. And i neva said expensive means beta. I dnt knw wer u gt the idea.hav u eva handle he N85 ? If nt pls dnt coment based on theories. N85 beats the N96 on build quality and bettery life only! If ur a hard texter and knw ur gona use the device extensively then The N85 is the way 2 go. N79 is gud bt nt a multimedia powerhouse. Like N96 ane N85. guys pls use the phone crct!!!! !the phe is like a cmpter! !ok wen u cnstly use a compter and never shut it down or restart it u will hve probs!! !the same wit this phone !! !so at lest every 2days swtch it off and on agan!and guys dnt dwnld just any apps on the phne it can also b the cause of ur phone not running properly!!thanks! !this is from nokia itself that gave this info 2 me!! !face 2 face!!! ali, 01 Feb 2009a big problem with my N96, I cannot stop searching WLAN , to use anything it pops up on the sc... moreclose all running applications. there may running any application. Kenzo, are you regretting now of buying the N96? The N85 isn't that great either. The build quality is better than N96 but not stellar. I think the best NSeries is N79. The N79 can do everything that N85 and N96 can (except the DVB-H), yet it costs so much cheaper than both phones. N79 does everything the N96 does yet it costs only half of N96's price. Be practical. More expensive doesn't always mean better. Sometimes they can even be worse, especially with the case of N96 - it's very expensive yet it feels cheap. It's just so not worth it. mo, 02 Feb 2009im from durban, westville north. wheres the closest nokia shop? will they allow me 2 test out ... moreu get nokia in gateway theatre of shopping in durbs. i'm having some problems with n96, like when you open a photo it takes ages to view it clearly..even i've upgraded its version to 12.043..generally, it's a very slow mobile...which is much better? im from durban, westville north. wheres the closest nokia shop? will they allow me 2 test out each of them? Why did Nokia maker the CPU slower than the N95? a big problem with my N96, I cannot stop searching WLAN , to use anything it pops up on the screen and does not let me use my phone! any help, please! Hey all, currently im using N96 for almost 3 months ..
1. The music player(refresh library) took a long time to refresh all the music..
2. The auto-rotate not smooth ..
2. The stand by menu & explore the menu seems fast ..
2. The double-speaker produce clear sound,but not as loud as N81..
3. The camera-button seems awful at 1st using,but im getting used to it ..
4. 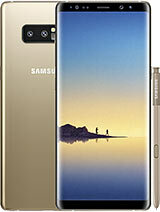 The phone built material is classy,the keypad is nice to use..
6. memory in use 1.93 Gb, free 13,0 GB..ive saved 670 photos(but the gallery seems very slow if we saved up to 1000 photos),470 music tracks,more than 20 apps,20 videos..
N96 is extremely frustr8n, had da ting a month n it fls lyk it wana fal apart wn i type, also reboots at will, oh n does ne1 knw hw 2 browse onda WLAN coz myn connects bt wn i wana browse it says 'no gateway reply' plz help? mo, 31 Jan 2009kenzo..lol... if i like the size and looks of the n96, i love the built quality, i think its t... moreThe build quality of the N96 is bad aftar a while .iv only had it 4 2and a half months and its alredy wobbly. So if ur a hard texta like me N96 is a nO No! N96 screan big bt its week. Coz it has dead pixels . But is clear. N85 is awsome dude. Nw stp asking and 4o 2 the Nokia store get a real feel of both. Wer u fom il tel u the neerest store. kenzo..lol... if i like the size and looks of the n96, i love the built quality, i think its the best looking phone there is. Im also a fan of a big screen and a better camera and sound quality, do u still think i would like the n85 more? oh i also like the tft screen more. BATMAN, 31 Jan 2009sup kenzo wats d price of 8 and 16gig card Supman! Wel the 4gig micro sd gose for R150 at CNA. 8gig is R356 at vodashop. And 16gig wil be availbl in sa next month. sandy, 31 Jan 2009cannot get the ringer volume on the n96 loud enoughSwitch of 3D ringtones. If it dosnt help that means the file ur using as a ringtone is either compresd or its natural volume is nt loud enough 2 b used as a ringtone. I also hav songs that are great audio quality yet very soft. And i cnt use them as ringtone.